Receive a $50 Visa gift card withe every equipment referral you make! 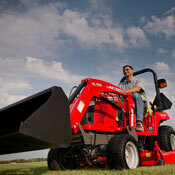 Buy with confidence at UFC Farm Supply, your trusted full-service equipment and powersports dealership. Our sales team is committed to helping you. If you’re looking for high quality and personal service, you’ve come to the right place. We’ll give you the attention and service you’ll come to expect and enjoy. We pride ourselves on taking care of our customers from the moment you walk in and through your total ownership experience – we’ve got your back. 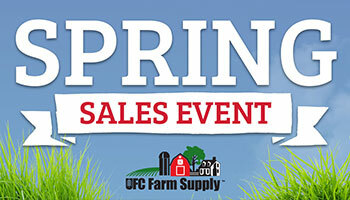 Receive $10 UFC Farm Supply Bucks for every $50 Spent! 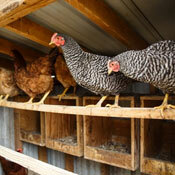 UFC Farm Supply is focused on providing the best nutrition options available for your animals. We carry high quality, natural and holistic brands of food and supplies. Whether you are aiming for grand champion at the county or state fair or caring for the family pet, we offer a large selection. Our friendly staff will answer your questions and we even offer drive up service from our warehouse. If you need expert advice, you have come to the right place. 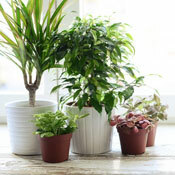 Our staff is highly trained and experienced in all things growing. We offer much more than the mainstream garden center to make your garden or landscaping project a great success. In-season, our garden center carries a variety of products depending upon the season such as a wide array of spruce tops, spruce top decor, wreaths, poinsettias, Christmas trees, and unique gifts. During our down-time in the winter, we are planning all sorts of new and exciting things to bring to our customers in Spring 2019 at both our Waconia and Maple Plain Garden Centers. Stay tuned as we will be sharing some of the great additions we will have!